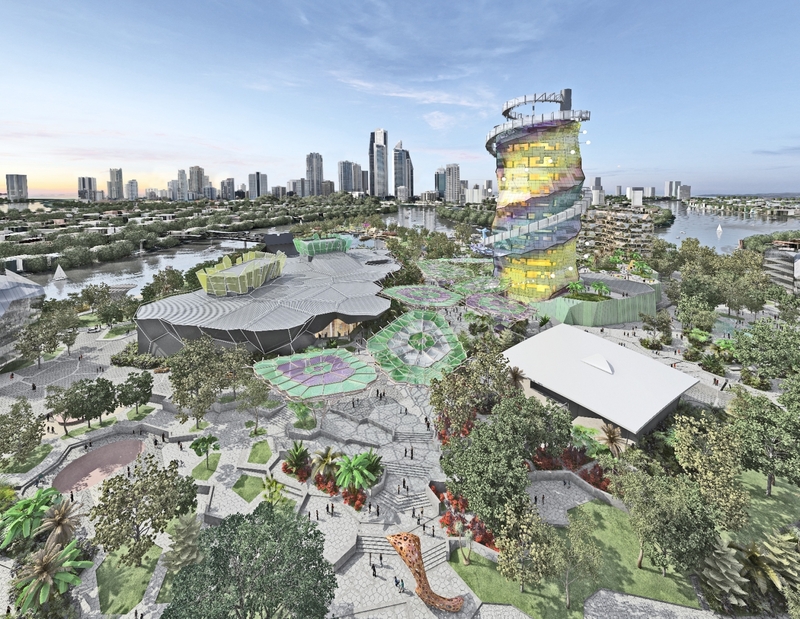 Stage 1 of the Gold Coast Cultural Precinct will be up and running in time for the Gold Coast 2018 Commonwealth Games. Positive Solutions worked with Architectus Brisbane in 2007 to create a Cultural Precinct Masterplan to a stage where funding could be sought from a variety of sources. In 2011 we developed a Creative Industries Framework for the Precinct, and in 2014 we assessed and presented options for the future operation and governance of the Precinct. The Arts Centre Gold Coast is calling on Gold Coast artists to provide an inspiring and engaging design that will be on display for almost 18 months across 100s of meters of construction fencing around the site of Stage 1 of the Gold Coast Cultural Precinct. Early artist impressions of the amphitheatre have also been released. Read more about the Gold Coast Cultural Precinct here.